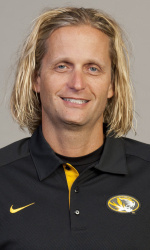 David Yost has resigned his position as offensive coordinator and assistant head football coach at Missouri, after spending the past 12 seasons on Head Coach Gary Pinkel’s staff. Yost cited personal reasons for his decision, which is effective immediately. The departure will end a 17-season association between Pinkel and Yost. He initially joined Pinkel’s staff at Toledo in 1996 as a graduate assistant, and from 1997-2000, was Pinkel’s quarterbacks coach and recruiting coordinator, until moving to MU in the same position. “First off, I want to thank Coach Pinkel for an amazing 17 years,” said Yost. “He has done so much for me and I’m just so grateful for the faith that he showed in me and all of the opportunities that he sent my way. I also want to thank Mike Alden for the support he has given me personally, and to our program. Mizzou is a special place, and I know that we’re positioned to do great things going forward,” Yost said. “There are a lot of factors that played into the process of coming to my decision,” Yost said. “I feel like I’ve had a great run here and that it’s just the right time to turn it over to someone else. On one hand, it’s a really hard decision to make, but on the other hand, I feel good that it’s the right decision at the right time for me,” he said. Last week during Coach Pinkel’s end of the season wrap up press conference, I asked him if he anticipated any changes to his staff for 2013 and he said no. He also said there would be no position changes within his staff. “It is very difficult to imagine not having David as part of our staff,” said Pinkel. “I asked him to reconsider, but I respect his decision. He has been such an instrumental part of our program and everything we‘ve built since we came here. There’s hardly an aspect of our program that he hasn’t had a hand in, and we’re going to miss his leadership and energy. He was responsible for a lot of things, and he did them all very well. He was an outstanding representative of Mizzou who busted his tail for our program. He’s going to be tough to replace,” he said. Pinkel said that he will conduct a national search for Yost’s replacement, but that he will also consider internal candidates. There is no timetable for the timing of the hire.